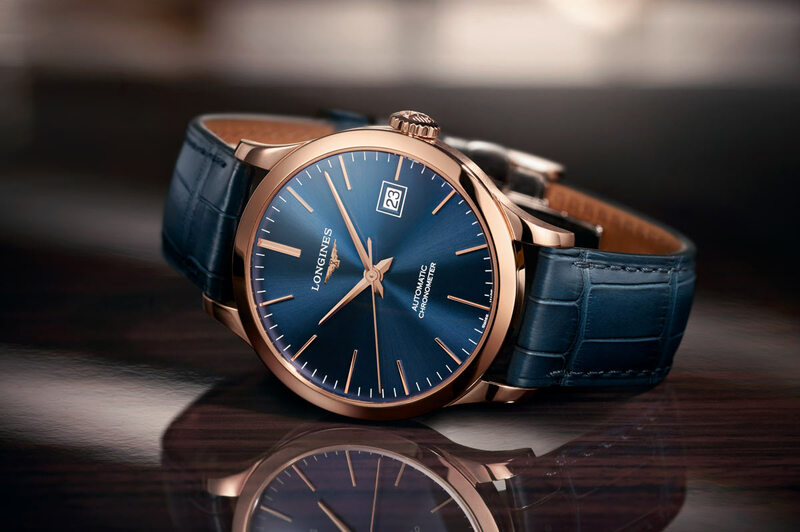 At Baselworld 2018, Longines expanded its Record collection with several models including two new Record Automatic Chronometer references in rose gold that we are presenting here. Certified as “chronometers” by the Swiss Official Chronometer Testing Institute (COSC), these new models combine classic elegance with technical excellence. The watches are powered by the self-winding Calibre L888.4 (base ETA A31.L11) movement integrating a silicon balance spring whose accuracy is not affected by normal temperature variations, magnetic fields and atmospheric pressure. Visible through the transparent case back, the movement beats at 25'200 vibrations per hours and guarantees an autonomy of 64 hours. 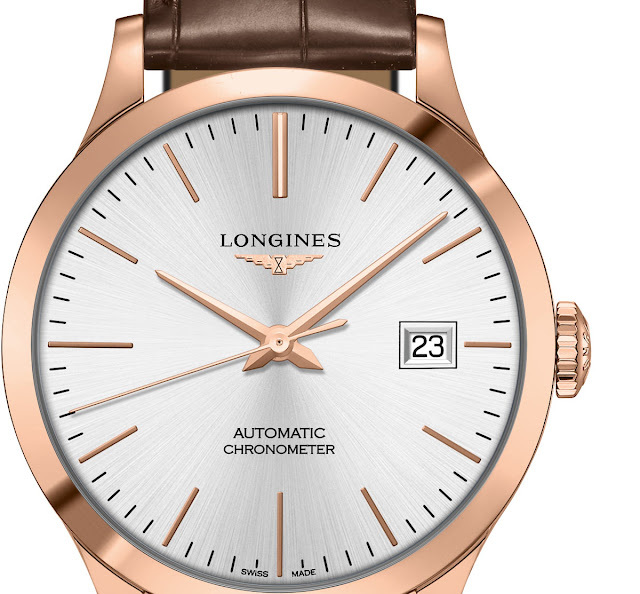 The 38.5 mm 18kt rose gold case can be matched to sunray silver (ref. L2.820.8.72.2) or sunray blue (ref. L2.820.8.92.2) dials displaying hours, minutes, central seconds and date at 3 o’clock. The new watches are water resistant to 30 metres / 100 feet. 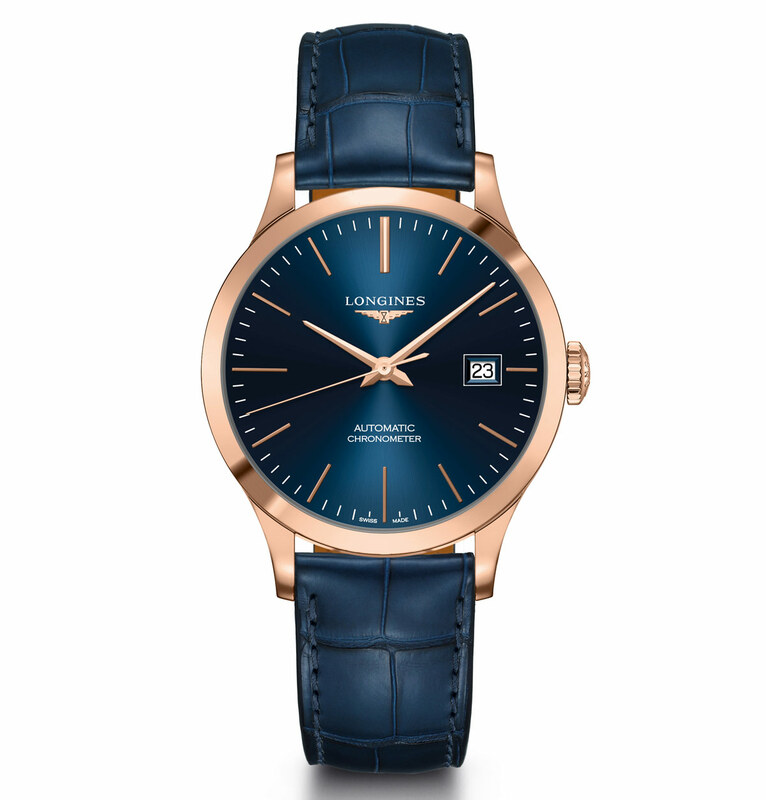 For an elegant dress watch in gold from an important brand, this watch has an excellent price! 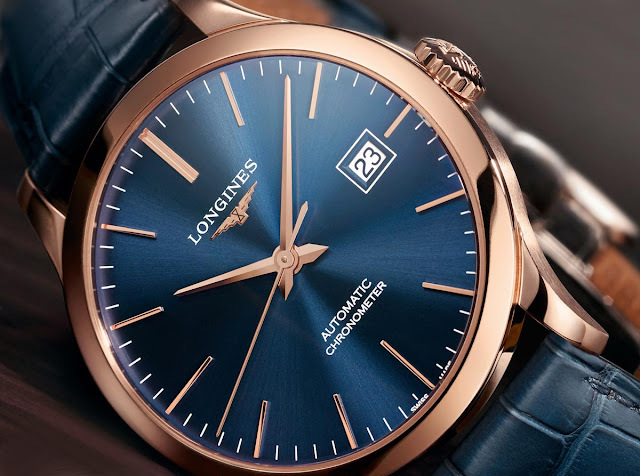 Longines - Record Automatic Chronometer in Rose Gold; At Baselworld 2018, Longines expanded its Record collection with several models including the two Record Automatic Chronometer references in rose gold that we are presenting here. The 38.5 mm 18kt rose gold case with polish finish can be matched to sunray silver (ref. L2.820.8.72.2) or sunray blue (ref. L2.820.8.92.2) dials. 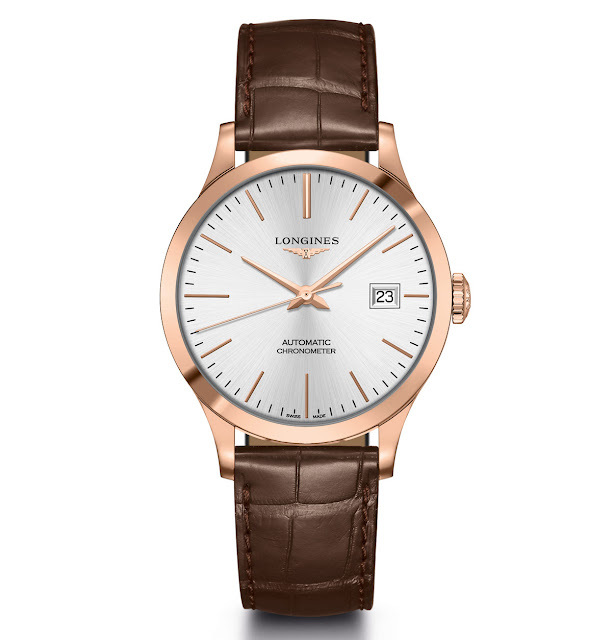 The new Longines Record Automatic Chronometer in Rose Gold has an indicative price of Euro 5,900.